The University of Buenos Aires (Spanish: Universidad de Buenos Aires, UBA) is the largest university in Argentina and the largest university by enrollment in Latin America,surpassing both the National Autonomous University of Mexico and the Universidade Estácio de Sá of Brazil. Founded on August 12, 1821 in the city of Buenos Aires, it consists of 13 faculties, 6 hospitals, 10 museums and is linked to 3 high schools: Colegio Nacional de Buenos Aires, Escuela Superior de Comercio Carlos Pellegrini and Instituto Libre de Segunda Enseñanza. To enter any of the available programmes of study in the university, students who have successfully completed high school must pass a first year called CBC, which stands for Ciclo Básico Común (Common Basic Cycle). Only upon completion of this first year may the student enter the chosen faculty; until then, they must attend courses in different buildings, and have up to 3 years to finish the 6 subjects (which vary depending on the programme of study chosen) assigned in two groups of 3. Each subject is of one semester duration (March-July or August-November). If someone passes all 6 subjects in their respective semesters, the CBC will take only one year. Potential students of economics, instead, take a 2-year common cycle, the "CBG" (General Basic Cycle), comprising 12 subjects. Access to the university is free of charge for everyone, including foreigners. The University of Buenos Aires (UBA) was inaugurated 12 August, 1821 by the initiative of Bernardino Rivadavia - at the time Ministry of Government of Buenos Aires . Since then, the institution has followed, first as a provincial and then -since 1881- as a national University, the course that the country and city's history have taken. The institution has also gone along paths that contributed to its growth as a cultural and scientific academic centre and a place for the training of professionals, circulation and production of knowledge. In 1885, the "Avellaneda Law" was passed aiming at the organization of the two existing National Universities at that moment: Buenos Aires University and Córdoba University . This law provided a legal framework that contemplated the university autonomy and established the method to be applied to the naming and appointment of authorities. It also made the university responsible for issuing the degrees that enable the practise of different professions, assigning the institution, in this way, an institutional profile tightly linked to a Professional University - a characteristic which would be pointed out as a limitation to the scientific development of the university by some reformers. When the National unification was completed, Argentina entered a process of integration to the worldwide market. This new situation involved responding to demands such as the reception of immigrant inhabitants and, together with it, the growth of cities; the development of an urbane infrastructure; the State's responsibility in connection to education and public health policies; and the creation of a political and administrative frame. The State's requirement of knowledge and professionals placed the University in a central position. Throughout history, the University has shown the capacity of adapting in order to cater for the State's, the Markets', the production areas' and the Society's needs. Different changes in Europe led to a transformation of the conceptions about scientific research in Argentina - as well as in the rest of the world- which were reflected in the University. There was a clash - specially seen in the Medicine and Law Schools -between the conceptions of a University focused on the professional development and a University concentrated on scientific research. By the end of XIX several museums and research centres were created: the Pathology Institute (1887), the Ethnographic Museum of the Faculty of Philosophy and Literature (1904), among others. The UBA also underwent a process of democratization and experienced a progression in the modernization of knowledge early in its history. The Reform that took place between 1905 and 1906 established the values that represent the Argentine university tradition nowadays: those of autonomy and democracy; teaching, scientific research and university extension. This democratization implied, among other things, the incorporation of teachers in the election of authorities. The most significant achievement of the Reform was the constitution of a threefold government with the representation of teachers' senate, students and graduates. The Reform also brought in its train a renewal of plans of studies concerning the ways of transmission and creation of spaces for research - which was tightly linked to the interest of groups of students and teachers intent on creating a scientific university. It is worth highlighting the contributions that foreign thinkers and scientists - such as Ortega, Augusto Pi Suñer, Einstein, Le Corbousier and Gasset- made to this process of modernization. In the 1930's both the democratization and autonomy of the University were jeopardized by the military coups and repressive actions that took place in the country. Among the social and political turmoil, the UBA experienced, nonetheless, a process of scientific update which included the institutionalization of research teams, the upgrade of libraries and the creation of new courses of studies (sociology, psychology, economy, etc.). The spread of scientific information acquired a relevant place with the creation of the University Publishing House (EUDEBA). The creation of institutions which do not belong to the University such as the National Institute of Agricultural Technology (INTA), the Institute of Industrial Technology (INTI) and the National Council of Scientific and Technical Investigation (CONICET) reinforced the concept of modernization propelled by a developmental ideology. 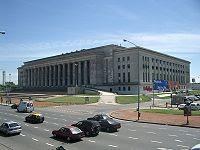 The University of Buenos Aires went through an institutional reconstruction during the first years of democracy. It regained autonomy and the threefold governmental structure. In the 20 years of democracy in the university, basic functions were restored: teaching, research and University extension. In this period, plans have been updated and new courses of studies created. One of the first innovations was the creation of the CBC which provided an answer to the gap in the articulation between high schools and university studies. The long tradition of university extension was taken up again and the Secretary of Extension was created. 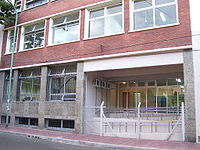 One of its most important developments was the foundation of the Cultural Centre "Ricardo Rojas". Of these, only the last two have their buildings located in Ciudad Universitaria, a campus-like location in Núñez, in northern Buenos Aires. The others are scattered around the city in buildings of various sizes, with some having more than one building. There are projects to move more faculties to Ciudad Universitaria, the first one in order of importance it's the Faculty of Psychology, whose building is already designed to be emplaced in this Campus. I've been told that U.B.A has a lot of prestige. Next year I will look for apartments for rent in Buenos Aires to stay there. I hope I could have a great experience!